An exciting season of creative adventures await you in the studio this Fall! 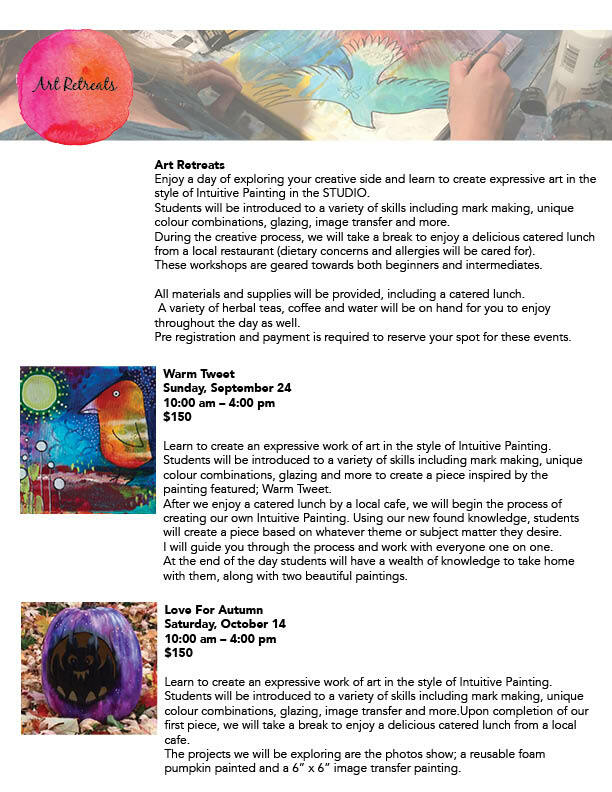 I am pleased to bring you a variety of adult and family workshops, art retreats and a six week Intuitive Painting course. 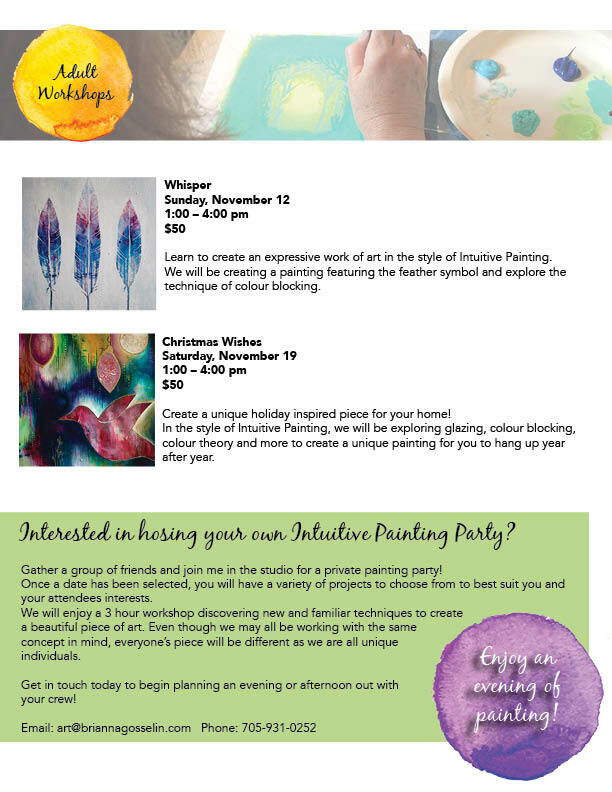 The September-October session of the 6 week Intuitive Painting course, filled up quickly. 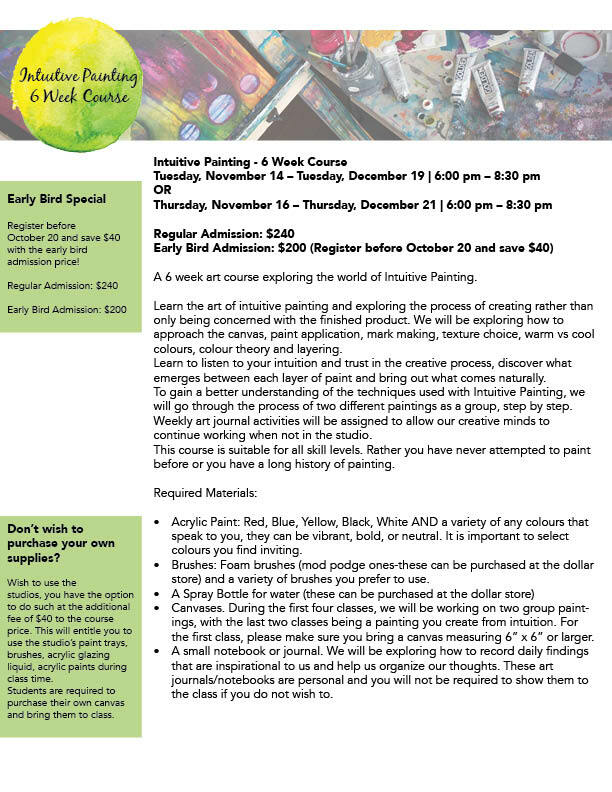 Registration is now open for the November-December session, so don’t delay. 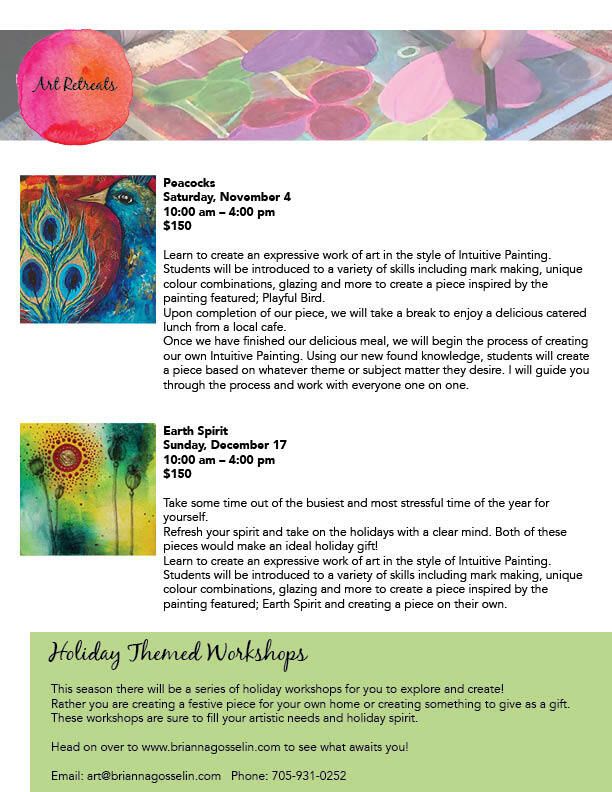 In addition to the line up for Fall, I will be announcing a special series of Holiday themed workshops. 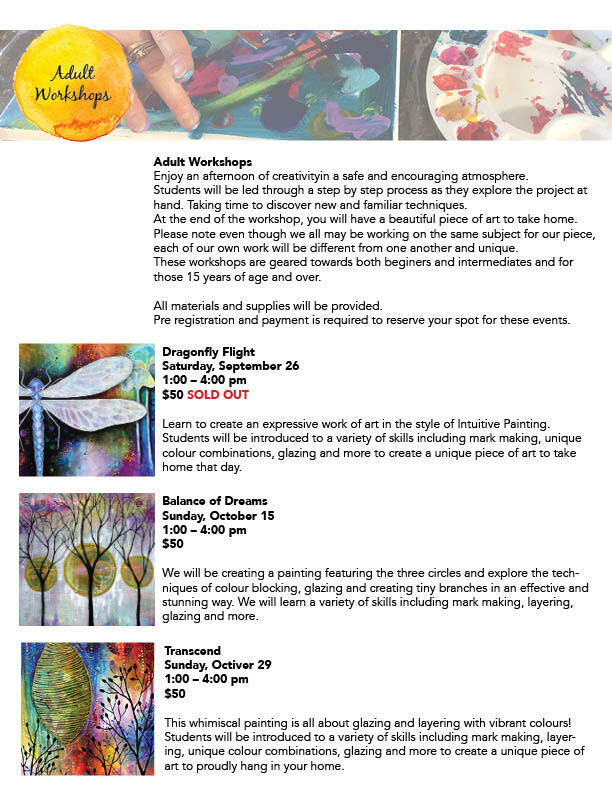 These workshops are ideal for both beginners and the experienced artist. Rather you are looking for a holiday themed project to display in your home or to create a gift for someone special in your life. 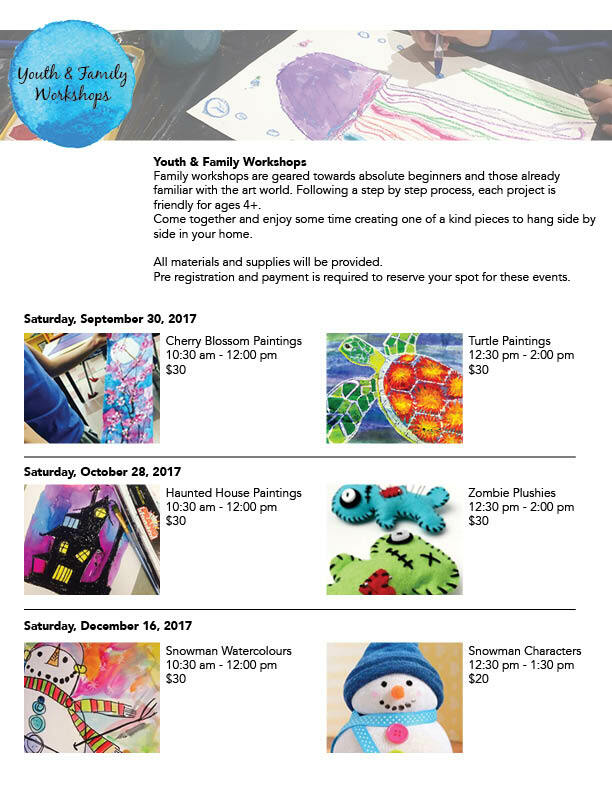 These workshops are just the thing for such, and also a great way to de-stress during the season! 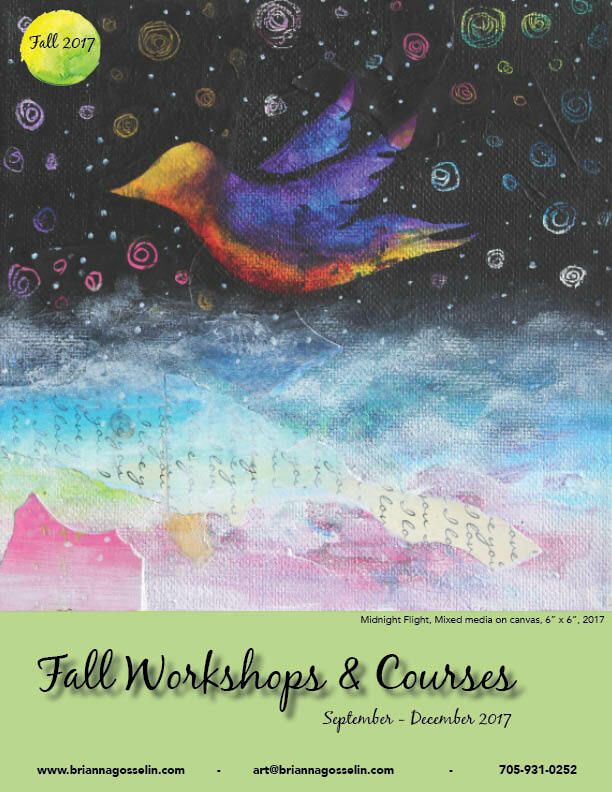 Browse through the interactive fall brochure. When you see something you are interested in, all you have to do is click on the photo and you will be instantly taken to the event page. There you will find more details about the event and be able to register online.